Adata’s XPG peripheral line hasn’t been around for as long as some of the other key players in the arena, but that hasn’t stopped them from trying to put their stamp on the market. 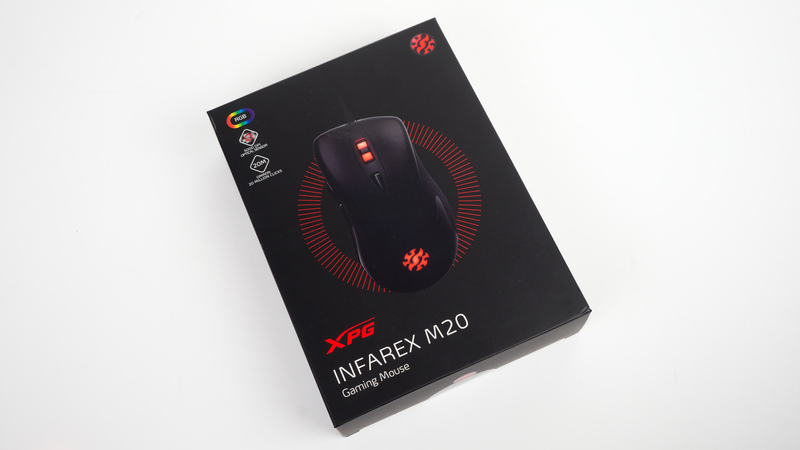 Today, we’ll be taking a closer look at one of their budget-friendly mice, the Infarex M20. Costing just £25 in the UK the M20 is highly affordable and may be ideal for those looking to get into PC gaming on a budget. So, let’s not waste any more time and see if the M20 is worth the asking price. The M20 arrives in a black box with some red flourishes. There is a large image of the M20 in the centre which is glossy; this is a nice contrast to the rest of the box which has a more matte finish. In the top left corner of the box, there is a quick look at a few key specs, and at the bottom, you’ll find all the relevant branding. Flipping the box to the back and the styling carries over nicely from the front. The back also contains more information about the M20 as well as a handy QR code. 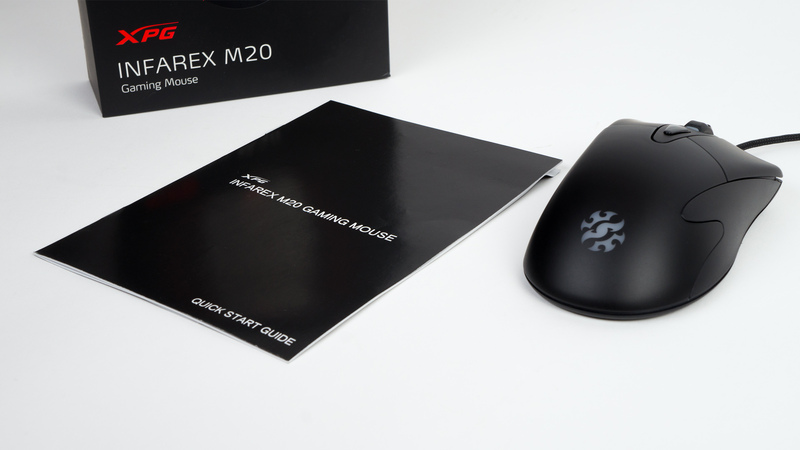 Given the M20 is highly affordable, there is nothing in the box apart from the documentation and the mouse; then again that’s all you’ll need to get going as the mouse is purely plug and play. As for the aesthetics, the M20 is a good looking mouse. 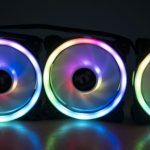 XPG haven’t gone over the top with the design, and it works. The main shape is quite rounded and curvy which looks a touch old school, so don’t expect the M20 to look overly futuristic or even that modern, but you may prefer that. Still, the M20 blends nicely a gaming setup and doesn’t draw too much attention to itself. 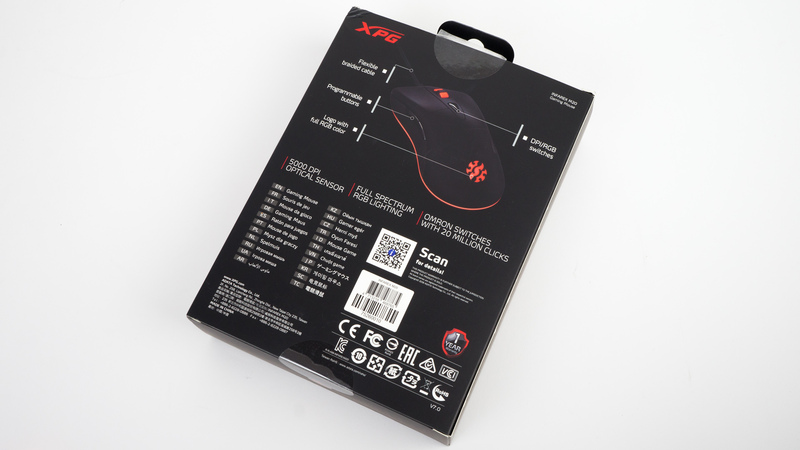 At the rear of the mouse, you’ll find one of the areas of illumination which takes the shape of the XPG gamer logo. You can also see the bordering light that curves around the bottom of the mouse. This doesn’t go all the way around and stops just before the front section. 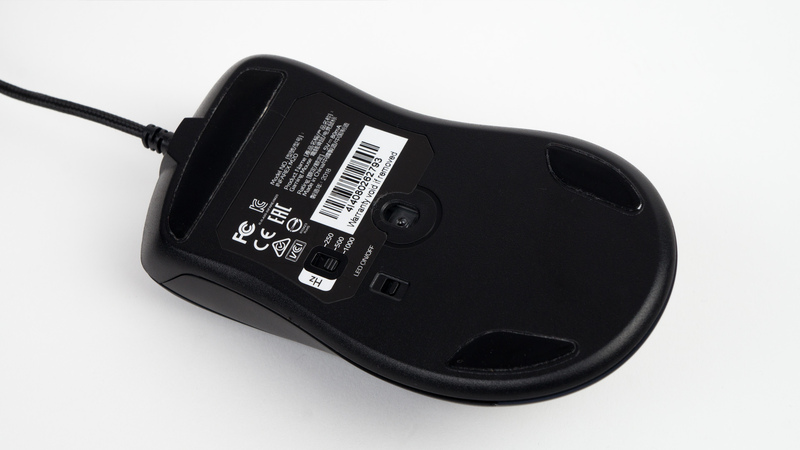 The left-hand side of the mouse features a nice curved profile which is very spacious. On this side, you’ll also find the thumb buttons which nicely sized and easy to press, even if they are a touch slippery thanks to the glossy finish. The side thumb grip is very minimal as there is only a slight texture to the side, this could have been improved by adding a more robust rubberised grip, though this would likely have increased the price of the mouse as a result. 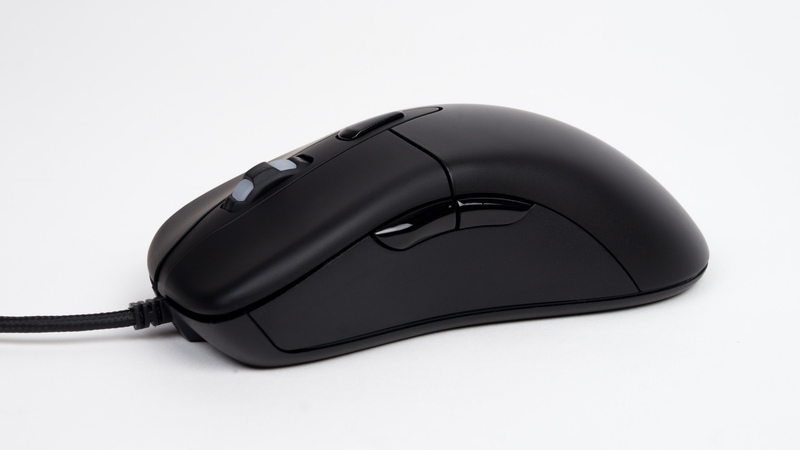 The front of the mouse continues the curved trend as the left, and right clicks are rounded. There is also a slight concave which does somewhat help position your fingers in an optimal position. Also at the front, you’ll find the cable connection point. Speaking of the cable, it does have a braided finish which feels great, yet it can snag and catch on the edge of a desk surface. On the right of the mouse, there is the same slightly textured grip as the left, and that is about it. On the plus side, the area is quite large and nicely shaped. The top of the mouse has a semi-matte finish that is quite smooth and feels nice against the palm. Also here at the top, there is the scroll wheel and single DPI button. The scroll wheel has some illumination accents which match the rest lighting. As for the scroll wheel, it’s smooth, fluid and feels well planted as there isn’t any side-to-side movement when pressed. The scroll wheel is also nicely tactile and has a satisfying audible click. The DPI button is a touch soft feeling, but it gets the job done. On the underside of the M20, there is the centrally mounted sensor, a LED on/off switch, a switch to change the polling rate and three glide pads. With the polling rate switch, you can change the settings to either 250, 500 or 1000Hz. Build quality wise the M20 is pretty much all plastic, yet the quality used is pretty good and doesn’t feel cheap. We’ve already mentioned the top and side, but overall the M20 feels very well put together for a mouse at this price point. All the buttons feel well implemented – though some are soft in use. The left and right clicks are fairly tactile and have no sideways movement when pressed. Of course, a mouse this cheap won’t live up to higher priced offerings, but given the £25 price point, we aren’t disappointed with how the mouse is constructed. The illumination on the M20 is a basic version of RGB with a single colour cycle mode, (cycles through several colours) based upon one zone that is spread over three areas. 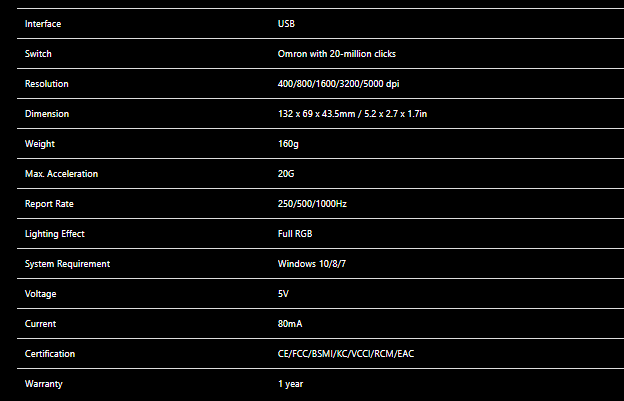 This is okay as the mouse is affordable and personally I’d rather the money be spent on better internals anyways. This does mean that you can’t really customise the colours, but you can always switch the lighting off if you’re not a fan of the implementation. 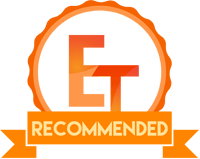 Everyday – Using the M20 daily has been a very nice experience and quite frankly, impressive. 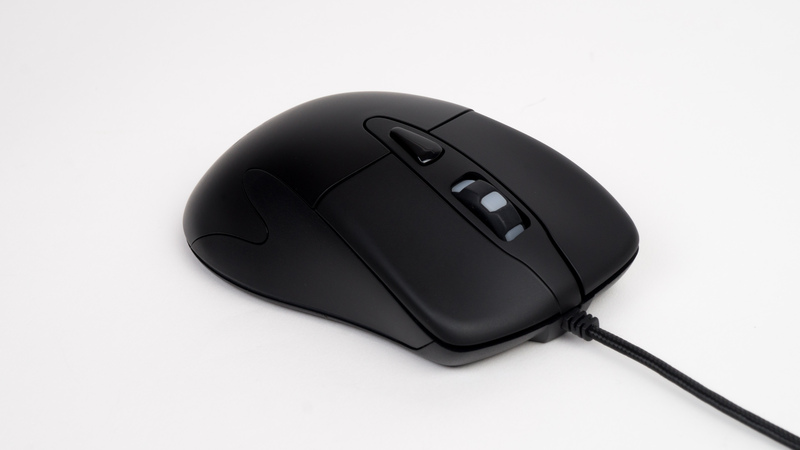 We’ll start with comfort, and the M20 is a comfortable mouse, this is thanks to the sloping curves and rounded edges that mean it conforms to your hand shape really nicely. The M20 is a good size too, (132 x 69 x 43.5mm / 5.2 x 2.7 x 1.7in) as it’s not too large nor too small meaning most hands sizes should fit nicely. 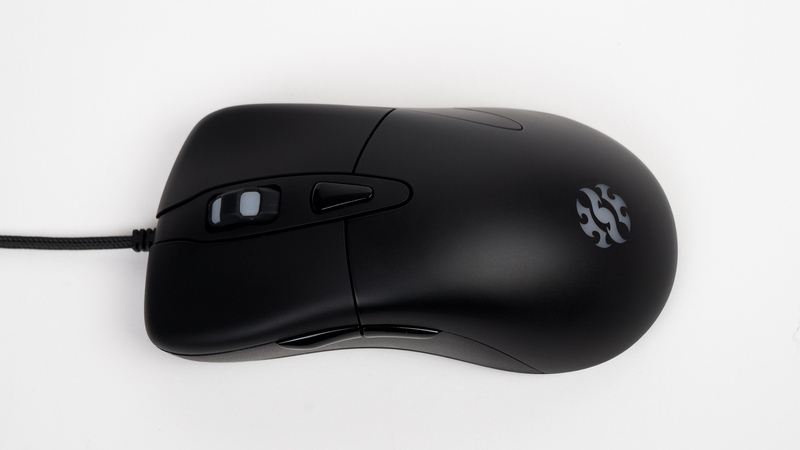 The shape of the mouse suits a palm style grip better as it just feels more natural, though you could probably get used to the shape if you have a hybrid or claw grip style. There is also no prominent hump that can sometimes lead to some slight cramping. The left and right click, the sides and top are also spacious, so if you’re the type of person that adjusts their hand while using a mouse, there is plenty of space to do so. As for performance the M20 also impressed – as long as you keep the DPI on the lower side. As is, the M20 has five levels of resolution to select from, these are 400, 800, 1600, 3200 and 5000DPI. If you keep below 1600, then the experience is really good, but in you do venture to the resolutions beyond that, then the sensor does start to become an issue as it isn’t the easiest to control. We found that 800 or 1600 were the best resolution levels for everyday use as at 400 the sensor feels too sluggish. The left and right click are great and feel highly responsive, and accurate, this is due to the M20 utilising Omron switches which are a rare sight at this low price point. 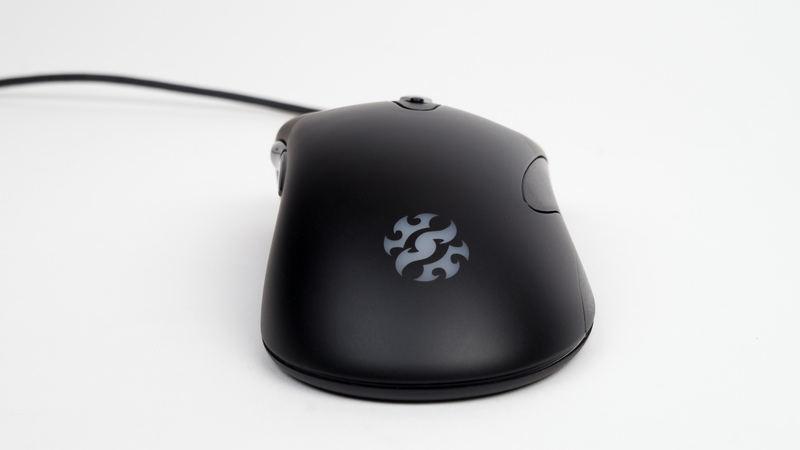 The scroll wheel is nicely weighted and doesn’t feel wobbly or loose, it’s also smooth with well-defined scroll steps. Gaming – For gaming, the M20 is packing an optical sensor, though after some research we couldn’t uncover the sensors OEM origin and all we know (at this time), is that it’s 5000DPI with five different resolution levels. As for the left and right click, they are Omron switches and again we couldn’t find the exact model of them. In terms of performance, the M20 is impressive for the price point. Starting with the glide and the M20 is surprisingly smooth on my HyperX extended mouse pad. Usually, mice at this price use cheap glide pads that feel rough, XPG hasn’t, and the M20 glides and moves really fluidly. 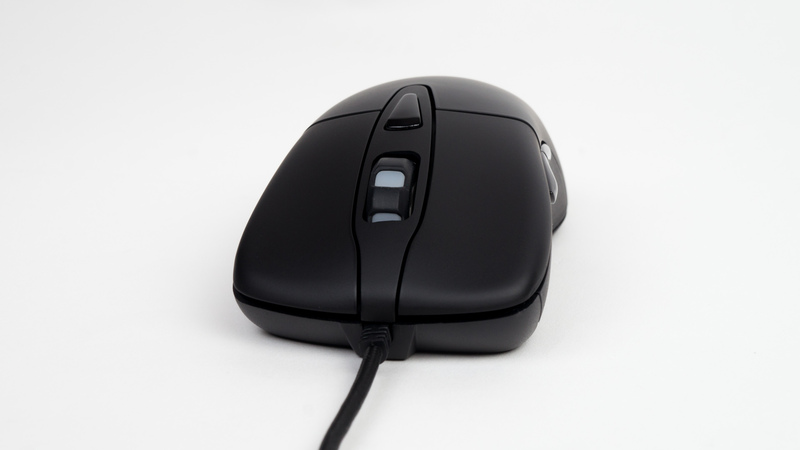 The weight of the M20 (124g – body only) is a touch on the heavier side as I personally prefer mice that weigh around the 80 to 100g region, however, this might not be an issue for you. What the extra weight can do is cause some inaccuracies when performing flick shots as the excess weight is a bit trickier to deal with, especially when coming from a lighter mouse. As for the accuracy and speed, the M20 scores well on both fronts. In testing, we found that the M20 was able to track enemies quite well in fast-paced titles such as Overwatch, CSGO and Fortnite. The accuracy was impressive too as I found it was quite easy to hit rapid moving targets, of course, it’s not as pinpoint as a high-end Pixart sensor, but for the price, it is really good. One small issue we found with the M20 was when performing lift-offs as when the M20 was placed back down on the mouse pad, the cursor did deviate, and move from its original lift-off position. This is quite common, especially on lower tier offerings. The left and right click are responsive, quite tactile and possess a fairly quick bounce back and repeat action thanks to the Omron switches. This is great as you can do controlled burst successive fire without much issue. The thumb buttons are okay, but they do feel a touch sluggish, especially when mapped to a commonly used attack prompt or firing/dropping a secondary weapon. The middle scroll wheel feels reasonably tactile when and is better than average at the price point. 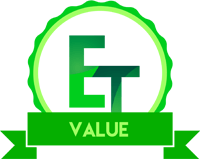 Performance – As outlined above the performance (at the sake of repeating myself), is pretty great for the price point. We found that the M20 is smooth, quite accurate and pretty capable for casual gaming whether that is online competitive or offline. Coming from a higher priced mouse (HyperX Pulsefire FPS Pro), I did note that my overall accuracy in some games did drop slightly, but not to a point that was wholly unacceptable. The M20 does falter in a few areas though, and the main one is the weight. 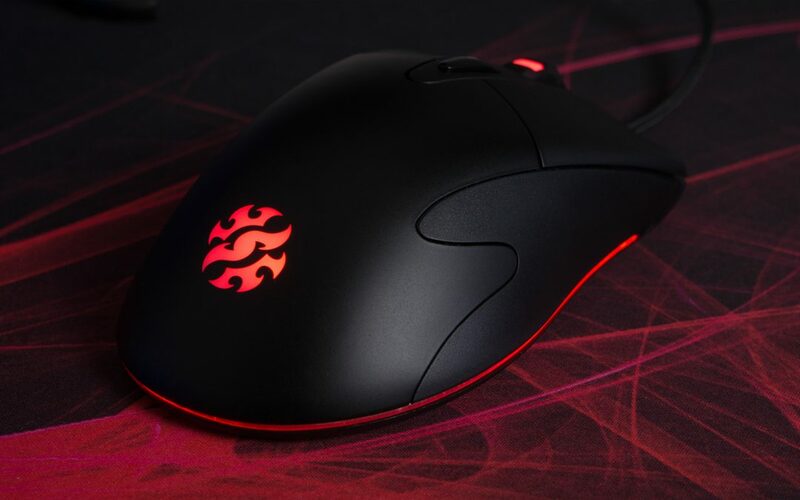 As the M20 has a body weight of 124g, it is a fair bit heavier than most offerings, and that can cause some issues, especially when trying to rapidly move the mouse around or perform a flick shot. After some time, you can adjust the weight, but initially, it can be a bit of an issue, especially if you aren’t used to a heavier mouse. As a whole though, the M20 is a pretty capable gaming mouse and would be ideal for casual gamers, or gamers looking to get into PC gaming without breaking the bank. Design – The M20 is a good looking budget mouse; it doesn’t have any outlandish design attributes and for the most part is pretty clean. 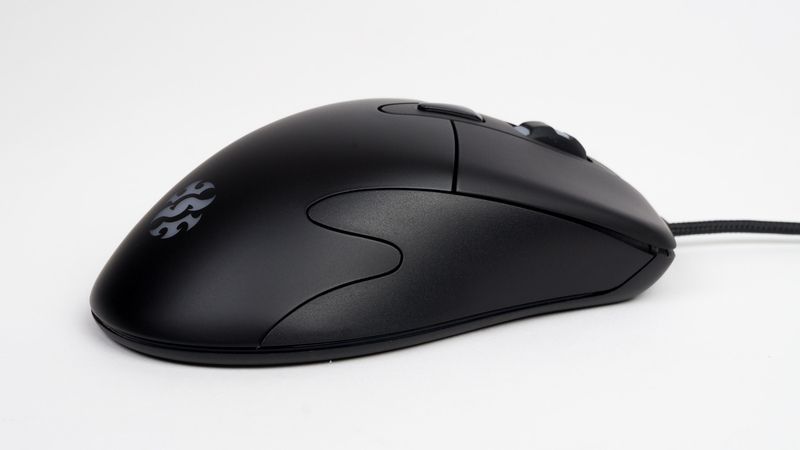 The shape is very rounded and comfortable to use on a daily basis and for gaming. It does suit a palm style grip better, though you can use a hybrid style quite easily. Button placement is pretty spot on and for the most part, they feel good. One area we would like to see improved is the side grips – or in this case, lack thereof. It would have been nice to have seen some rubberised texture utilised to help with the side grips, and thus improve the overall feel and security in the hand. The lighting is also not as impressive as on some other affordable mice, but honestly, the illumination is not high up on my checklist when it comes to a gaming mouse. 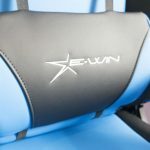 Value – The value proposition for the M20 is very strong as the M20 can found for just £25 in the UK, making it highly affordable for just about every gamer out there. It’s easily worth the asking price too as M20 has a lot of things going for it and not that much in terms of flaws or negatives. Of course, the M20 is far from perfect, but for the price, it’s hard to not be impressed by what the M20 offers. 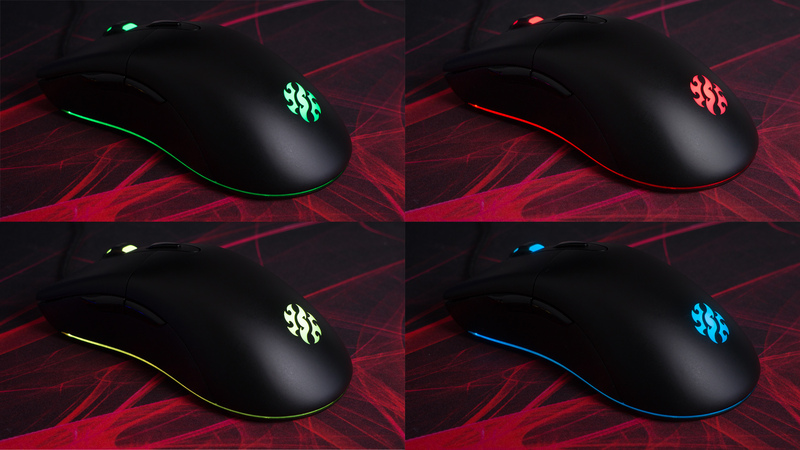 Unfortunately we can’t give it our must have award as we don’t have any other samples in-house to directly compare it to, but from the mice I’ve previously tested, it does stack up very well, and we can easily recommend the M20 for casual gaming whether that is online or for the games you play solo.